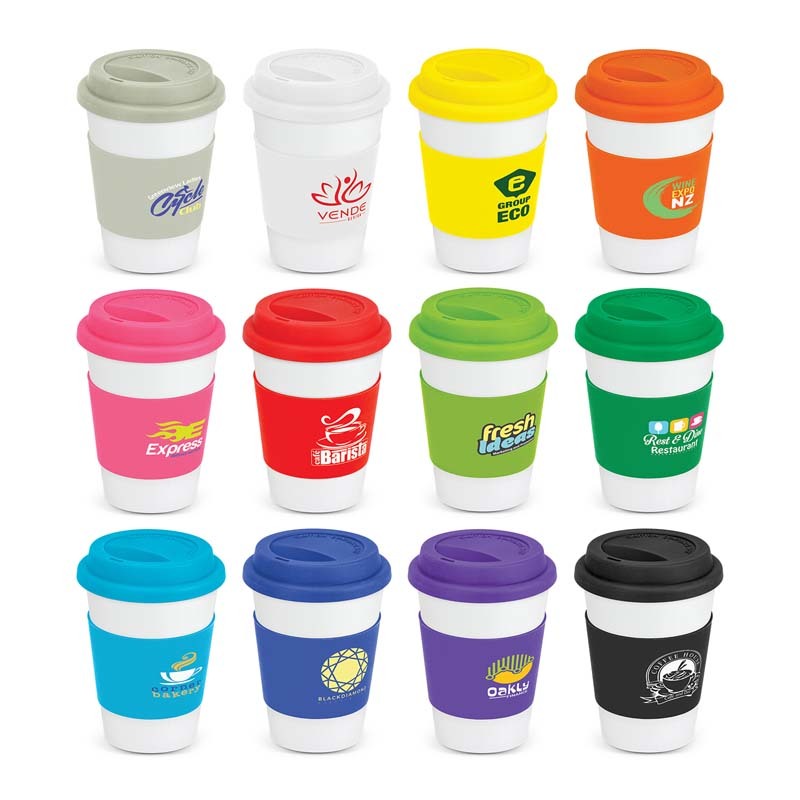 If you’re the kind of person who doesn’t like plastic or paper cups (there is some belief that they can change the taste of the beverage), you will find promotional ceramic coffee cups to be the ideal solution. 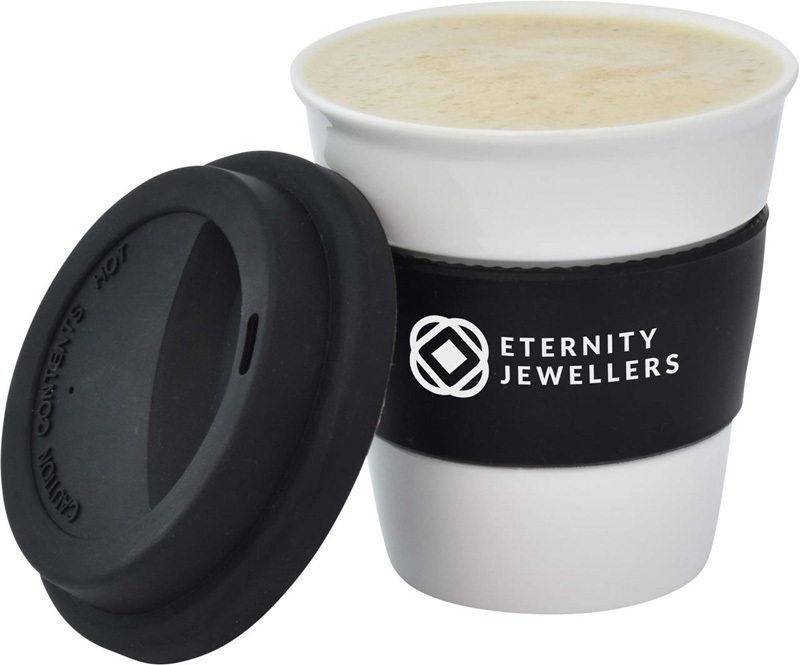 Made from classy ceramic materials that insulates the beverage and fitted with silicone lids or grips, these mugs can even be reused – making them a great choice for the environment. 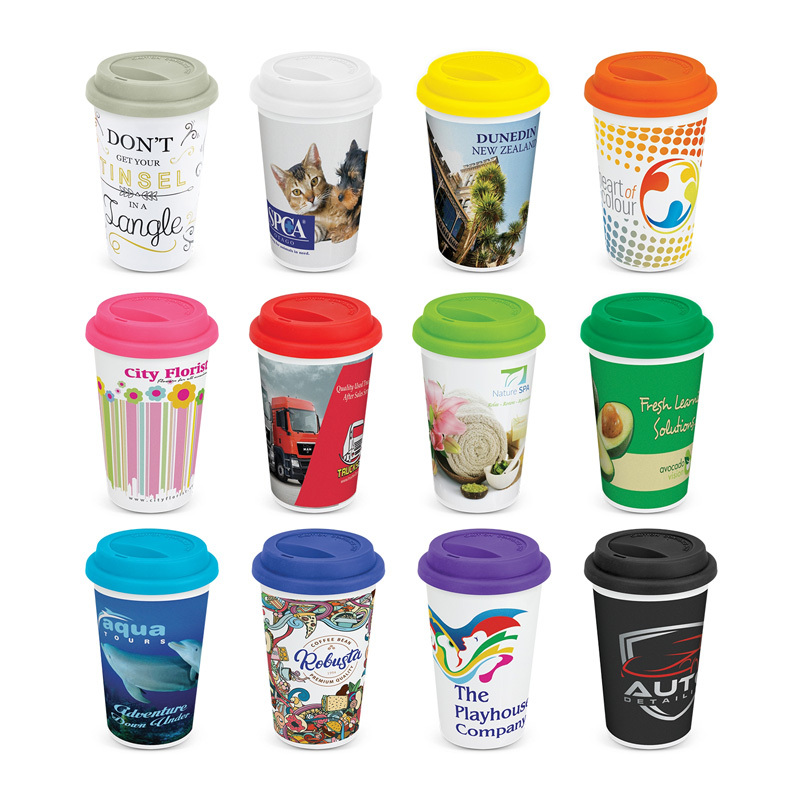 One of the main reasons that coffee cups ceramic are such a popular marketing tool is their aesthetic appeal. 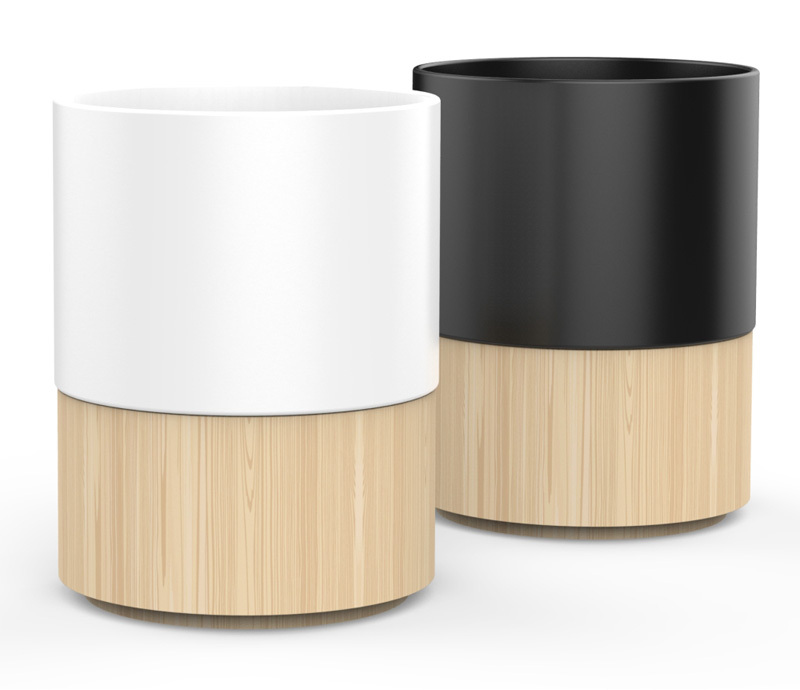 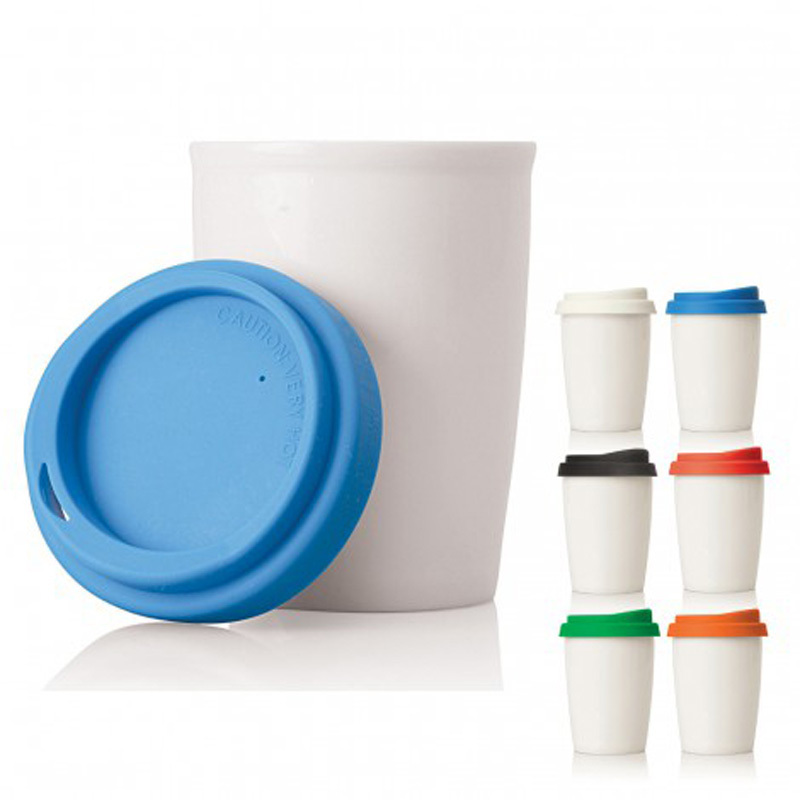 There is something quite classy and sophisticated about a stark white mug coupled with a brightly coloured silicone lid or grip – it’s the sort of thing that makes people stop and take notice. 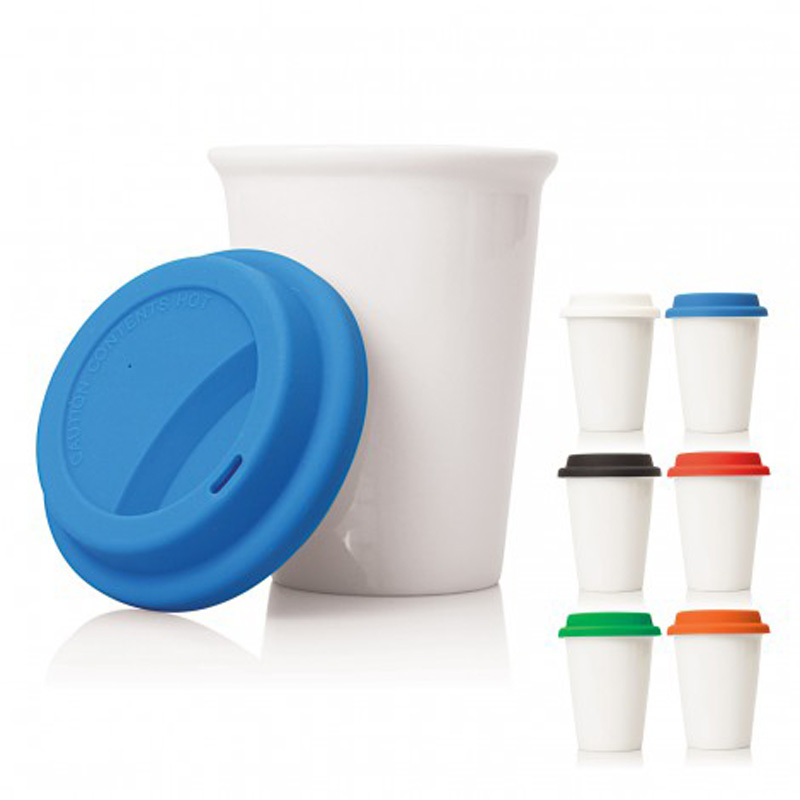 Whilst the cups themselves are available in white only, you can choose from a wide variety of colours when it comes to the silicone lids and grips. 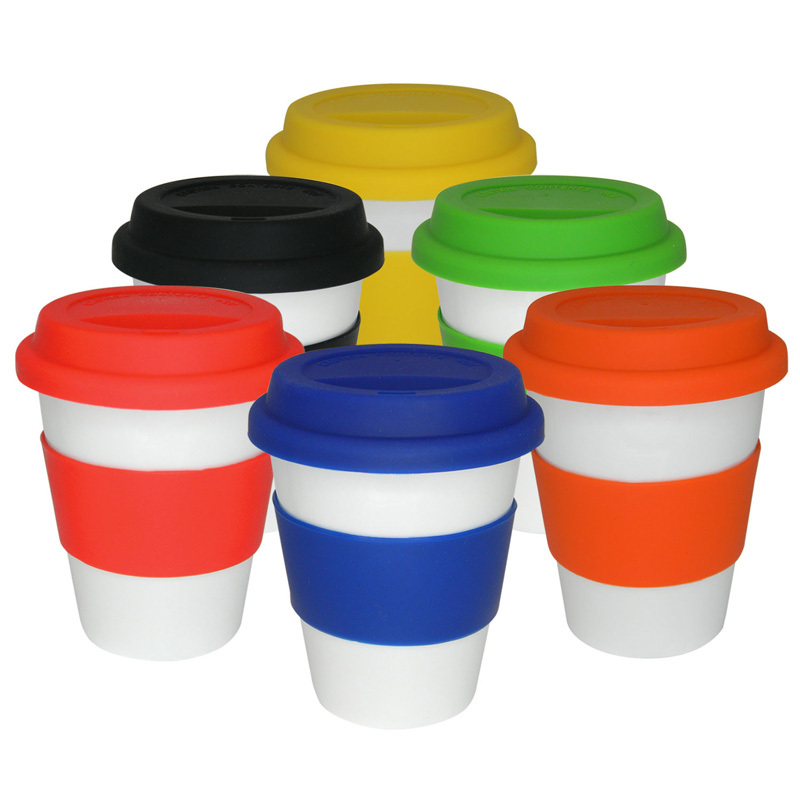 Go classic with black or stand out from the crowd with a bright red. 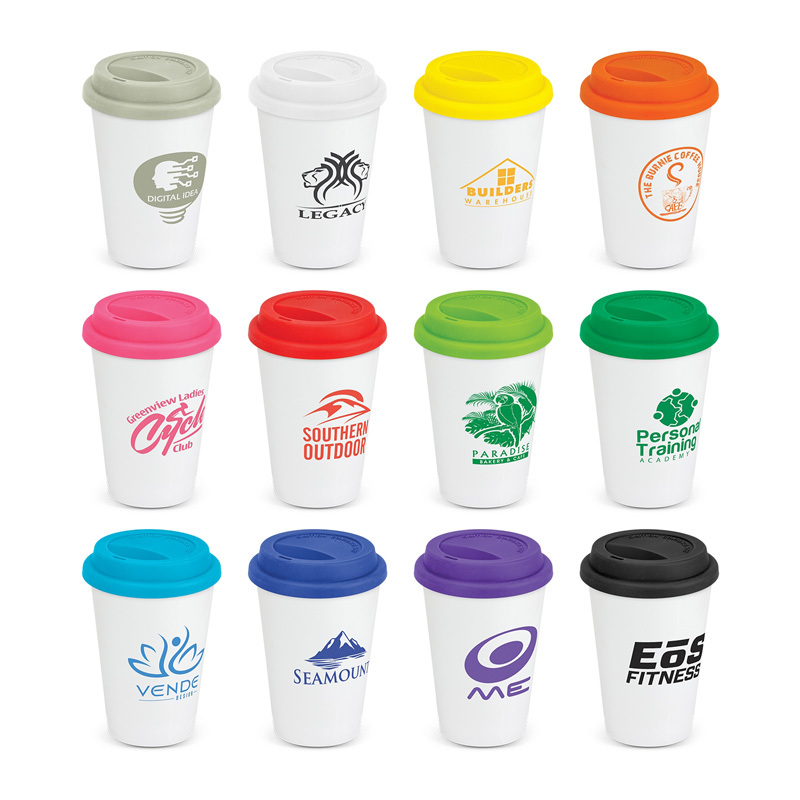 To ensure that your ceramic coffee cups are the ultimate reflection of your brand, they can be printed with your logo or unique design. 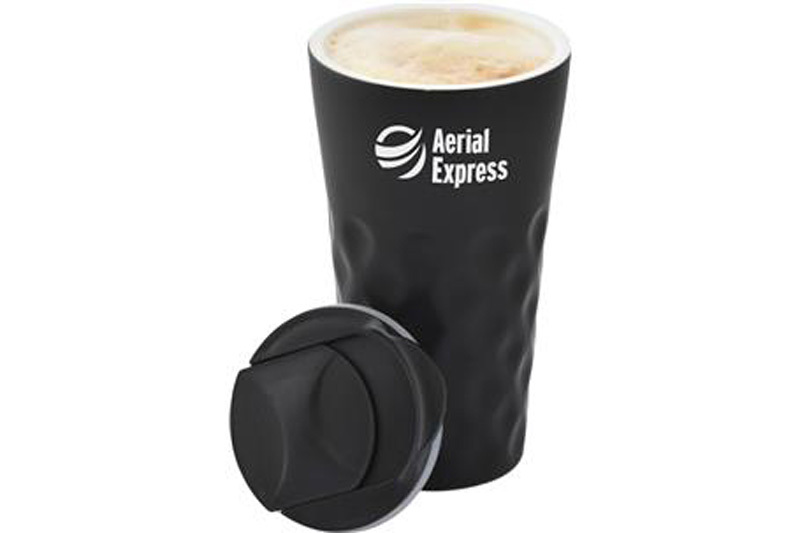 Choose to have this printed on the silicone grip or directly onto the side of the mug. 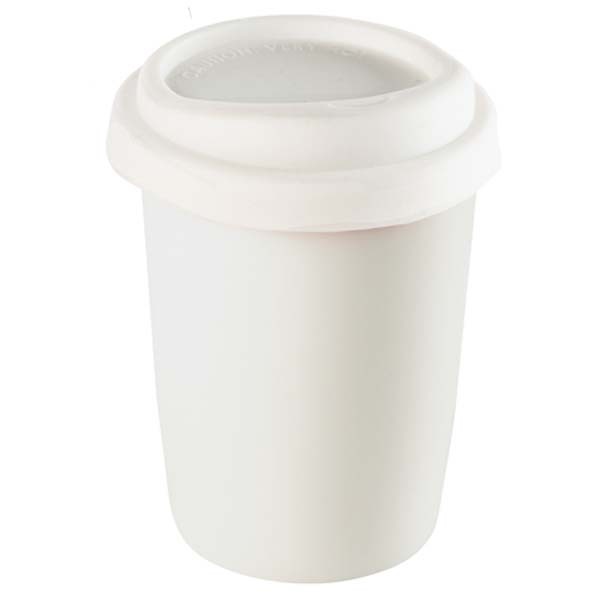 We use only the highest quality materials in the manufacture of our ceramic cups (including the silicone used in lids and grips) to ensure that they’ll stand the test of time. 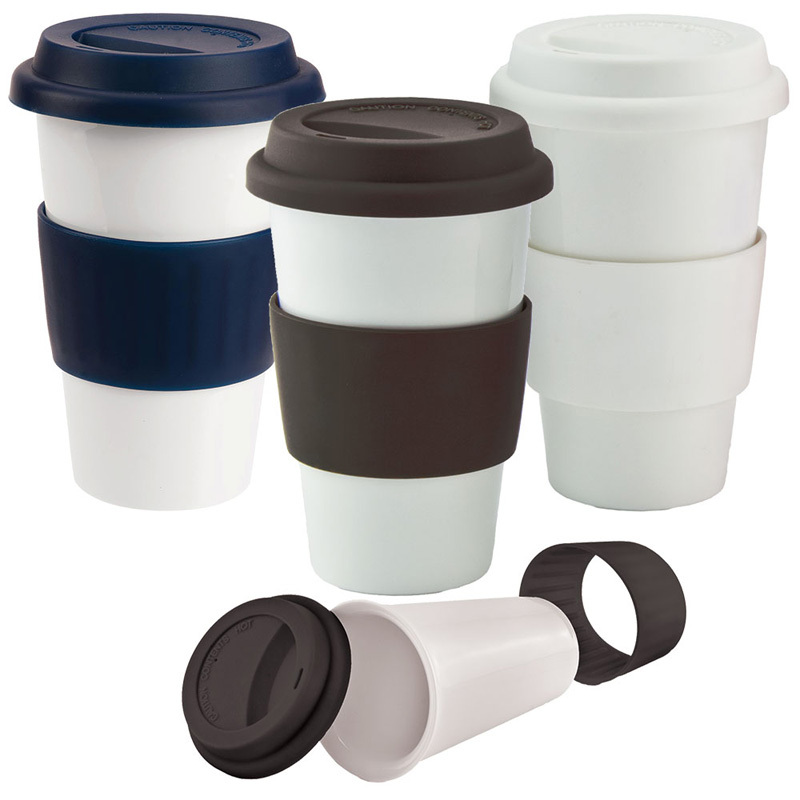 Many are also microwave and dishwasher safe.